It’s that time of year again! This weekend begins the fan favorite series at Walt Disney World Resort called Star Wars Weekends, where Disney Hollywood Studios is taken over by all things Star Wars. It’s an exciting month full of photo ops, rides, food and celebrity sightings, all with a fantastic Disney spin. My Facebook feed is full of friends who are already there or plan to attend one of these action packed weekends between now and June 15th. We aren’t going this year, but that doesn’t mean we can’t join in the fun! As I have been watching the excitement build online, I decided to make some plans to enjoy our very own Star Wars Weekends at home! Who’s with me? Any Jedi or Sith Lord who is worth his force will have this elegant weapon at his or her side. 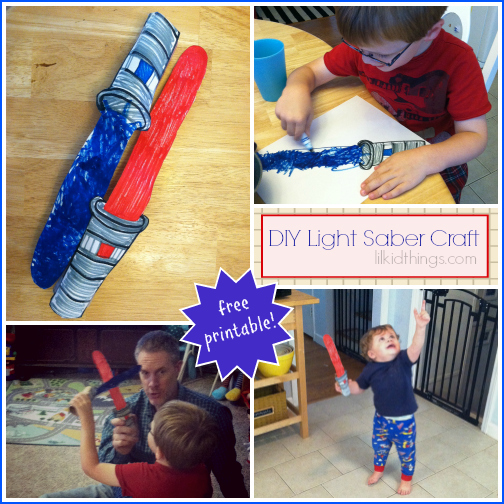 If you are missing out on the build-your-own lightsaber stations at Disney World, just make your own out of some handy household items! Your epic weekends need epic music. We all know the Dark Side has cupcakes. So why not make some? Get the kids involved and have a blast. 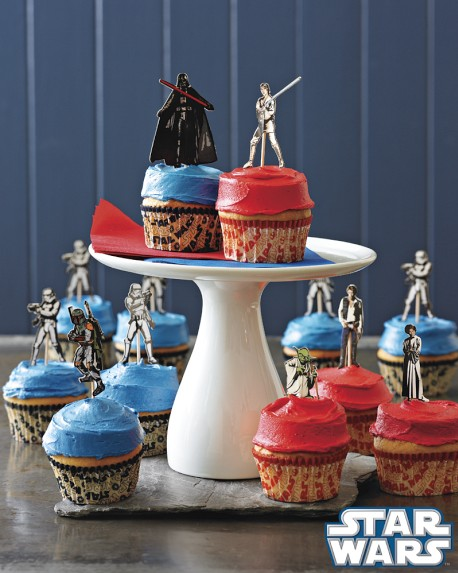 Grab this awesome Star Wars cupcake decorating kit at Williams Sonoma for only $3.99 while supplies last. But watch out for Darth Vader. He can’t be trusted. How are you celebrating Star Wars Weekends? Share your links below! 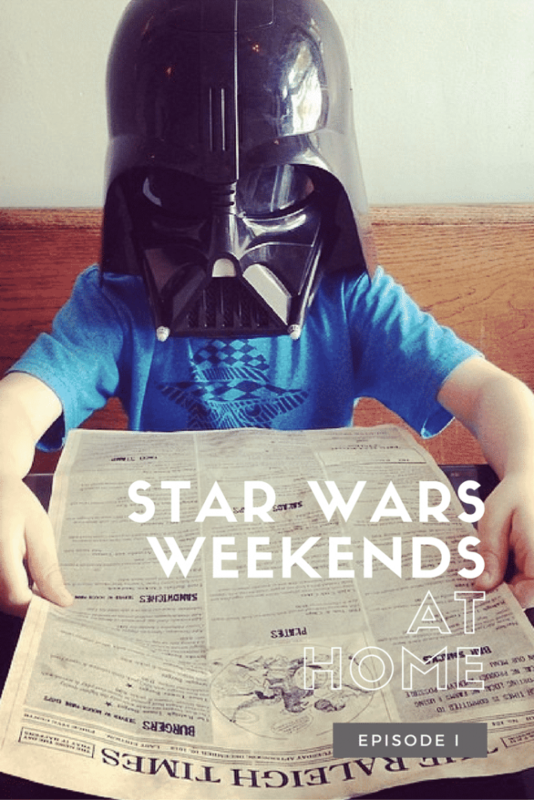 Check back here and on Twitter with the hashtag #StarWarsAtHome every Friday for the next 4 weeks to get a new Star Wars Weekends at Home idea! And if you are lucky enough to go to Walt Disney World during this time, I’d love to hear all about your trip! May the force be with you, wherever you are. My husband and his brothers have been so into Star Wars lately. Thanks!